It feels like every career wants you to have a degree these days. Graphic Design is no exception. As a result of this trend, college degrees mean less (to a certain degree). It’s supply and demand. As a result of the increased supply of college graduates with majors similar to the one you’re pursuing, the demand is more easily met, and the value of each unit of the supply goes down. You aren’t here for an economics lesson, so that’s enough of that. And don’t worry, your degree isn’t worthless. And, more importantly, you are still valuable. It’s just that your degree won’t get you as far as it used to. You need to showcase your skills in other ways. A portfolio is a great place to start. You should be developing this through our academic career. It should include only the best work you’ve produced. Yes, studying at a university is a great place to develop your skills and learn “industry standard” practices. This helps if you go to a graphic design school with notable professors–instructors who are either still in the industry, or worked on significant projects before they left it. Come up with an elevator pitch for yourself. Meet other graphic designers while you’re in school. Join a meetup group for other graphic designers in your city. It only sounds daunting until you try it a few times. Coursework and networking are valuable career pillars, but there’s a third pillar you can add. This pillar pulls the best parts of the other two pillars. It can provide you with actual industry experience and help you build your network. And you already know what it is. Internships are excellent ways to see what the industry is really like. You can read about becoming a graphic designer all you want–that won’t truly prepare you for the actual job. Internships are a great way to see if the graphic design is right for you (or any field, really). Maybe graphic design isn’t your cup of tea, but a different role in the creative department suited you much better. Or, you could very well be an excellent graphic designer. In either case, self-discovery or sweet validation, an internship can help you get to the bottom of it. That benefit alone is a potential time, money, and effort saver. But that’s not all internships have to offer you. You get experience in the industry. This real-life experience working on commercial industry projects with professional graphic designers–that is truly invaluable. The experience will help you stand out on your resume, big time. Anyone can go to college these days, not everyone has the drive and the skills to land an internship. And if you make a great impression, the professionals you work with might have you in mind when an opportunity pops up down the road. Of course, it doesn’t always work like that. But even without a direct recommendation from someone you interned with, internships still set you apart–not only on paper but in reality, too. Ok, we’ve finally convinced you to find an internship–you want to find the perfect one, we get it. This guide will show you where to look for some of the best graphic design internships out there, and also provide some advice on how to actually score these opportunities. Submitting applications can seem daunting. So many places to look up and send an application, so little time. Well, sometimes the solution is right under your nose. That’s right–think of brands, companies, and studios you’ve already heard of. Think of the companies responsible for some of your favorite things, and reach out to them! Is it a long shot? Maybe. But if they have an internship program, they have to pick somebody…why can’t it be you? Don’t limit yourself! Find companies you recognize, look up their internship program, and swing for the fences. Hasbro posted intern positions for Fall 2017 in the beginning of September. There are several internship positions available, like the one for music marketing intern, for example. 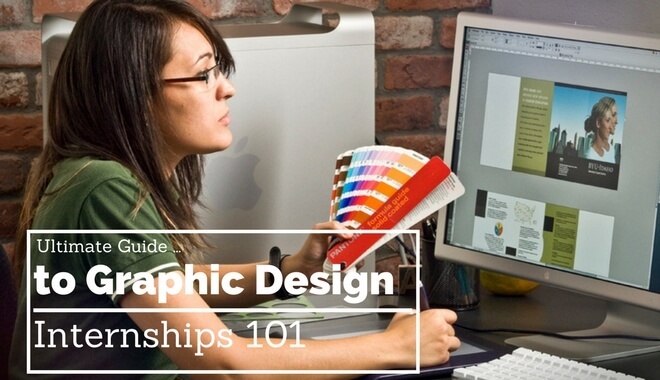 For this guide, we’re looking at the Graphic Design Intern position. To give you an idea of what to expect, we turn to the post itself. It’s possible that the exact responsibilities will change from season to season as the intern batches are turned over. But for the most part, you can expect the general duties to be the same (just in case the position is filled by the time you go to look). We can practically feel your excitement (c’mon, designing for toys would be cool). A cool project that Hasbro offers its interns is the “concept design project.” This involves collaborating with other students/interns from other departments at Hasbro to produce an original design concept. Hasbro requires “graphic design samples to help [them] understand your visualization process. [You] should have a portfolio of high-quality and diverse work showing a variety of styles when creating experiences, narrative, worlds and characters” (oh, and “Graphic design projects in a toy, juvenile product or related consumer industry preferred”). Is it the perfect fit for you? Maybe not. Would it look good and feel good to say you interned at Hasbro? For a lot of people, yes. Yes, it would. Looks like we’re sticking with the “H” companies a while longer (because who doesn’t want to stick with what they know? That’s a trick question–you don’t want to stick with what you know. Not when you apply to internships, and not when you’re developing new skills to eventually show with your portfolio!). Ah, yes, a coveted position at the Home Box Office–who wouldn’t want to intern here? Why do we imagine Petyr Baelish’s voice saying that? Maybe because HBO is home to some excellent television programming, chief among that being Game of Thrones (no spoilers, don’t worry). The popularity of their programming is good and bad. It’s good because everyone knows the name, respects the name, and gets excited to see the name (even if it’s on some resume buried in the stack of hundreds of resumes). It’s bad because everyone knows the name, googles internship opportunities for the name, and tries to strike HBO GOld. Even if you don’t land an internship with HBO creating “graphic applications for a variety of HBO/Cinemax print and digital collateral,” they have a great take away in their summary: you should be creating every day. You should be engaging your creativity every day. It’s like a muscle that gets bigger and stronger every time you use it. You should be honing your graphic design skills in your downtime. It should be fun! Let your passion out (every day), whether or not you land an internship gig at HBO.